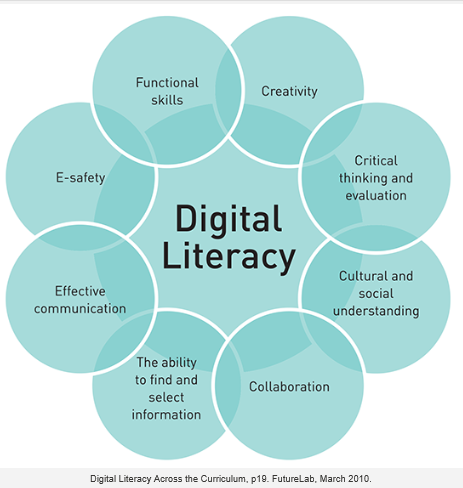 This post is an attempt to clarify my thinking around the topic of digital pedagogy, which I have chosen for my digital essay. Much of this post is framed around the readings stemming from Module 3.1, beginning with “Why the Google Generation Will Not Speak: The Invention of Digital Natives” (Brabazon, Dear, Greene, & Purdy, 2009). 1. Age is NOT a proven variable. 2. …‘mis-information’ has been perpetrated about how young people behave in online environments. 3. All researchers – not only ‘young people’ are skim-reading research. This behaviour is understandable due to time restraint, but dangerous in terms of learning. 4. Society is ‘dumbing down’ not just young people. (Is this due to a dense of being overwhelmed by information access – as is debated in “Too Big To Know” (Weinberger, 2011). 5. “The information literacy of young people, has not improved with the widening access to technology: in fact, their apparent facility with computers disguises some worrying problems.” This is certainly easy to observe in 1:1 classrooms, especially where ICT as a subject has been removed from the curriculum on the erroneous belief that all teachers can teach ICT these days. 6. “Young scholars are using tools that require little skill: they appear satisfied with a very simple or basic form of searching”. 7. “Digital literacies and information literacies do not go hand in hand.” It is this point that is the focus of my essay: planned and widely implemented digital pedagogy is crucial (Brabazon, Dear, Greene, & Purdy, 2009, p. 171). Without such a solution it will impossible to create a worthwhile intellectual journey through this new…landscape (Brabazon, Dear, Greene, & Purdy, 2009, p. 181). People such as ourselves, who are studying the implications of living in a time of knowledge networking and digital innovation, realise that the persistent allure of technology clouds the ability of devices to greatly improve learning outcomes, and that many examples of use are more aligned to entertainment rather than education. “Technology has been proffered as a tool that ensures that teachers teach students in the right way” (Philip & Garcia, 2013 83, p. 301). Such a view is too often predicated on caricatures of teachers, rather than a serious understanding of the successes of so many modern practitioners (Philip & Garcia, 2013 83, p. 305) The breadth of the work required to successfully educate students for the C21st is one of the reasons that some teachers are not willing to engage with the new paradigms, falling into the category of late majority (or conservatives) in Moore’s Technology Adoption Lifecycle, or even worse, laggards (Moore, 2002, p. 12). So this is the direction that my thinking is heading in establishing my contentions about the urgent need for a digital pedagogy which encompasses these serious issues relating to our profession. What do you think? Moore, G. A. (2002). 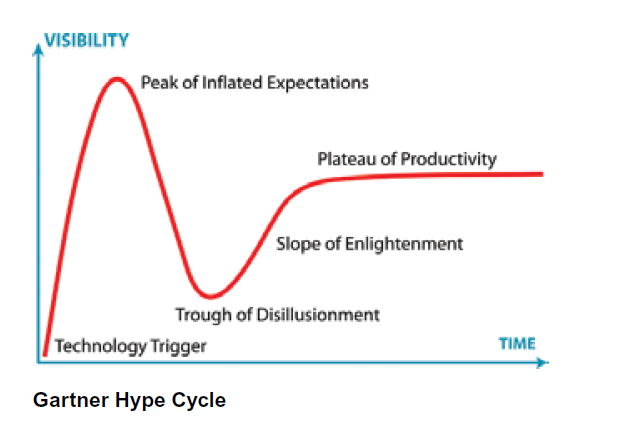 Crossing the Chasm; Marketing and Selling Disruptive Products to Mainstream Customers (Revised ed.). New York, United States: Harper Collins. Philip, T. M., & Garcia, A. D. (2013 83). 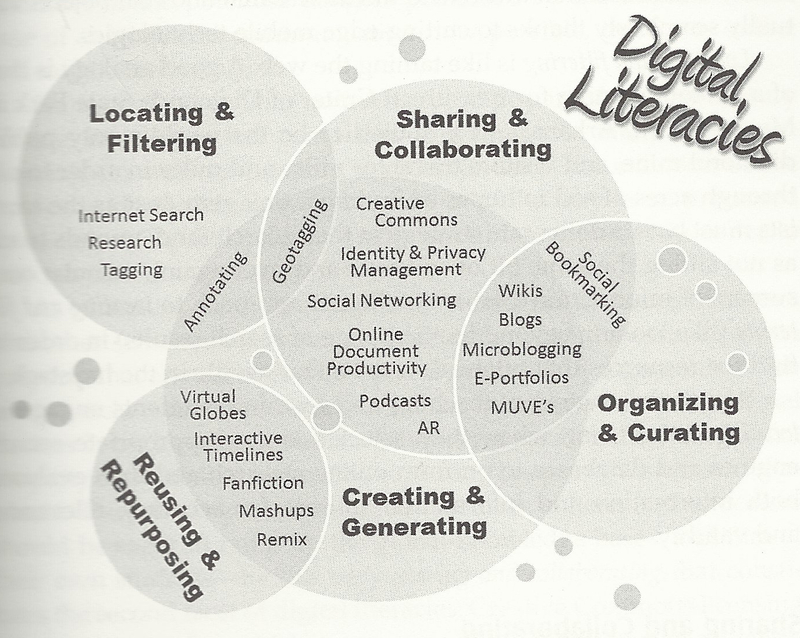 The Importance of Still Teaching the iGeneration: New Technologies and the Centrality of Pedagogy. Harvard Educational Review(83), 300-305. Weinberger, D. (2011). Too Big To Know: Rethinking Knowledge Now That The Facts Aren’t Facts, Experts Are Everywhere, And The Smartest Person In The Room Is The Room. New York, New York, United States Of America: Basic Books. In this information age in which we live, which is exciting, fast-paced and scary all at the same time a range of definitions need to be examined, elaborated on and finally agreed to by enough educators to be meaningful in terms of our profession and to impact on student learning outcomes. Much of the terminology being developed comes from quite different areas, for example, ecology is usually a term used by Biologists. When it is applied to Information and Communication Technology those of us working in this sphere need to pause and consider what the implications are for us. Educators and information professionals view the world through numerous lenses, unlike some professions where the focus can be more one dimensional. 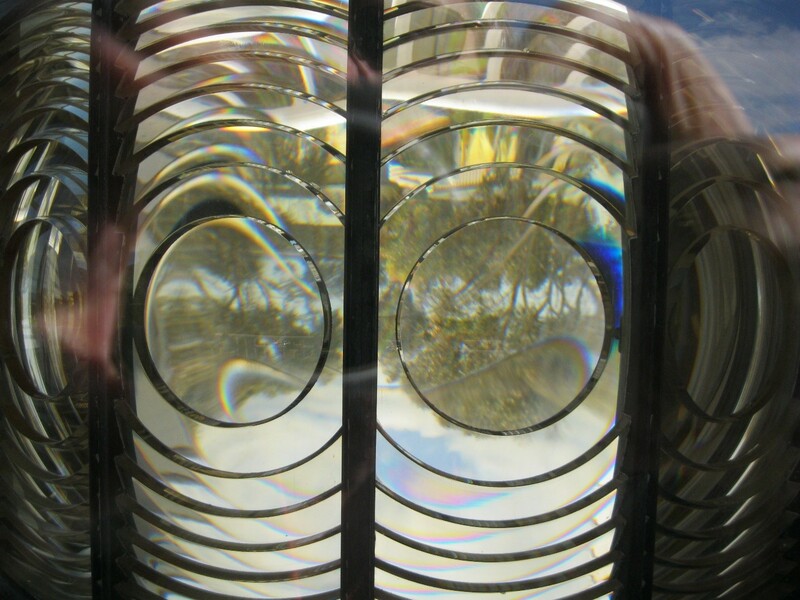 This image, of the historical Kingscote Lighthouse light, represents the varied ways educators have to adapt concepts and theories to their role in guiding student learning. Beyond defining the terminology, there is benefit to educators perusing models and translating words to action in the classroom. This diagram reminds teachers of why it is important for them to be present and active in their lessons (whether as sage on the stage, guide by the side, or as co-learner). Students cannot be expected to just know the implications of the qualifying words such as critical, effective, functional and utilised here. In order for projects such as Stephen Heppell’s to be quality educational end products, deep understanding of these 8 areas is necessary. Students may achieve that through effective collaboration and networking with each other, but having the teacher as co-learner is the most effective way of achieving this. This is my 7th year teaching VCE History Revolutions. This year’s class is small but focused and the students participate in the learning process, with each other, and with me. The year most of my current students were in Year 9, I took two classes of Year 9 History (Australian Curriculum). This was also the first year that our school had 1:1 devices and year 9 was the first year level targeted for their adoption. I documented this whole learning journey at a blog that was shared with these students at the time: http://9hist2012.wordpress.com/ . Luckily for me this was also the first year we could allow mobile phones to be used in class – but only when we had an explicit task in mind. I had students collaborating with absent peers on their phones through Facebook chat, active participation in finding relevant information on an at-need basis and experimenting digitally. My class, in many ways, is my testing ground. A great role that fills most of my working week and waking hours, and gives me licence to dabble in all curriculum areas in our school (and beyond) – and which is only limited by the time I have available. I can develop skills and use them to assist all members of our college community, create web sites, curate web links, teach, purchase resources etc. I can also share professionally with my teacher-librarian colleagues. Like so many things we come across as educators, the consideration really needs to be the learning outcomes that such discoveries empower in our students. Figure 1 links to an article (Pang, 2008) which makes for interesting reading in terms of our course material. (It is downloadable as a PDF also).